Steve Patterson’s book is based on the exhibition in the Museum of Witchcraft and Magic in Boscastle with the same name and using this historical depiction of a cunning woman’s kitchen/workspace Patterson is leading us into a greater presentation of folk magic and cunning practices in the West Country commonly ascribed to the wayside witches by Cecil Williamson. Also found here is Old Joan’s Book of Spells, a collection of spells demonstrating the art practiced by the wayside witches at the sea shore of the West Country since the 18th Century. Patterson is in this presentation of spells and arsenal also occupied with time and world view and is using this presentation to also enter into the significant historical transition that marked the modern idea of Witchcraft through the friendship and eventually alienation and parting ways between Cecil Williamson and Gerald Gardner. Patterson is merely highlighting the differences of perception and vision between the two men as explanatory for the modern day continued discourse and disagreements concerning witchcraft and what a witch truly is. 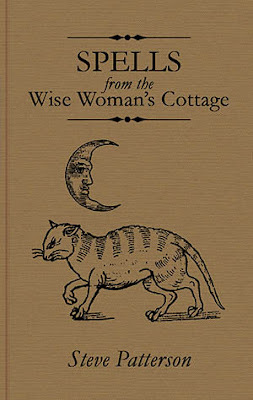 And it is in this depiction and description of the wise woman’s cottage and the book of spells Patterson allows the image of the wayside witch to rise and take form as a contrast to the idea of the witch embodied within Gardner’s religious child, Wicca. In doing this Patterson contributes clarity to our understanding of what a witch is and for him the integral and vital part is, as it was for Cecil Williamson, about the familiar or famulus and this is in truth an element of vital importance for the witch and in highlighting this factor it also makes it more understandable to understand where the dividing lines between the witch and the cunning one is to be found. 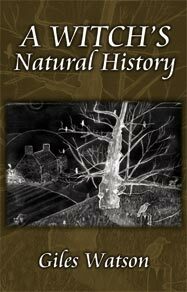 And speaking of the famulus, Troy Books also released Giles Watson’s A Witch’s NaturalHistory in 2013, which I will also comment on in extension of the familiar. The essays in this book were originally published as a series in The Cauldron and were such refreshing and stunning account of exactly the many familiars of the witch. Watson takes us through crows and slugs, bugs, veneficum and adders analyzing behavior, virtue and meaning in cunning depth. In doing this he give voice to the secret movements of nature and enables a deep and marvelous understanding of nature, her works and her inhabitants. I adored these articles when I first read them and it was the same pleasure in reading them again, this is simply one of those books that is amazingly rewarding to read due to how it expands your horizons and deepen your understanding and provides avenues for magic and mystery in how we look at nature after the pages has ended in such way that we are more able to marvel in the mysteries of nature possessing these perceptions Watson has shared with the reader.